The first section of the book contains the necessary and important information needed on types of wire. Since people are using many more metals these days, both for cost-cutting and for looks, it's important to know the properties of the metals that you may not have used before. Cindy has information on metals, wire gauges, shapes, and hardness. 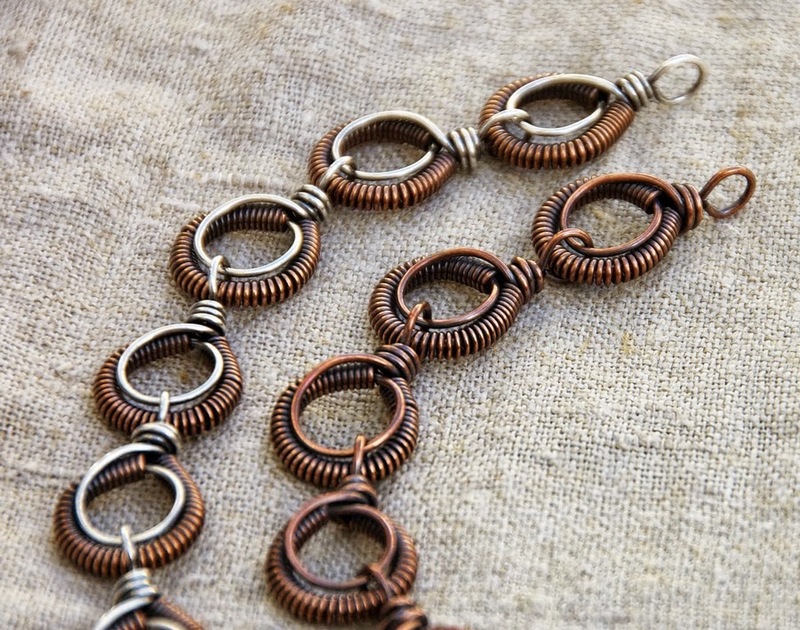 Then she follows with the low down on the minimal basic tools, the additional fun and make-your-life-easier tools, and the basic techniques for wirework. The second section is the heart of the matter: 9 easy, 10 moderate, and 11 more challenging links, in order of difficulty as I said before, so that you can work your way through in order. You'll learn all the techniques easily that way, plus you'll find your own personal faves that you'll probably go back to over and over (my personal favorite is shown above - the Corona link on page 60). Tips along the way help you to vary the designs to suit yourself. I advise you to get some cheap copper wire and make all the samples for yourself, because there's nothing quite like seeing them "in real life" to help you decide on your own personal favorites. The last section of the book includes 15 beautiful full projects by Cindy and other wire greats like Lori Anderson and Kerry Bogert. My favorite of the finished pieces is actually the cover shot, which is called Sojourn By the Sea. 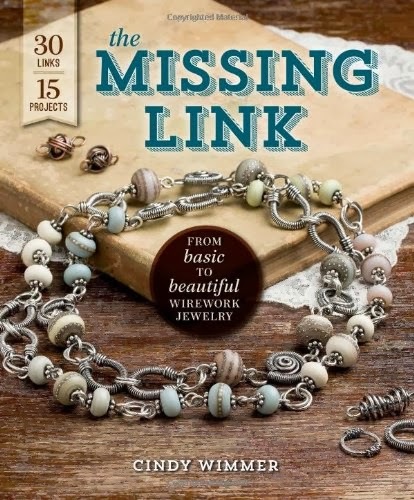 The designers show how the links can be used not just as chains, wonderful chains, but also as decorative elements, bails, and even as focals. Each project features one or more already taught links, and the designers give the tips for customizing, so you could easily sub in your favorite links.